Even though some gardens may be getting smaller the desire to garden isn’t. If you have limited space to enjoy flowers & foliage then my Container Garden Collection is perfect for you. 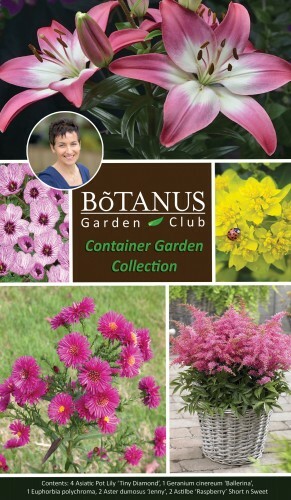 Chosen for their suitability in containers the plants in my collection will create a delightful little garden. 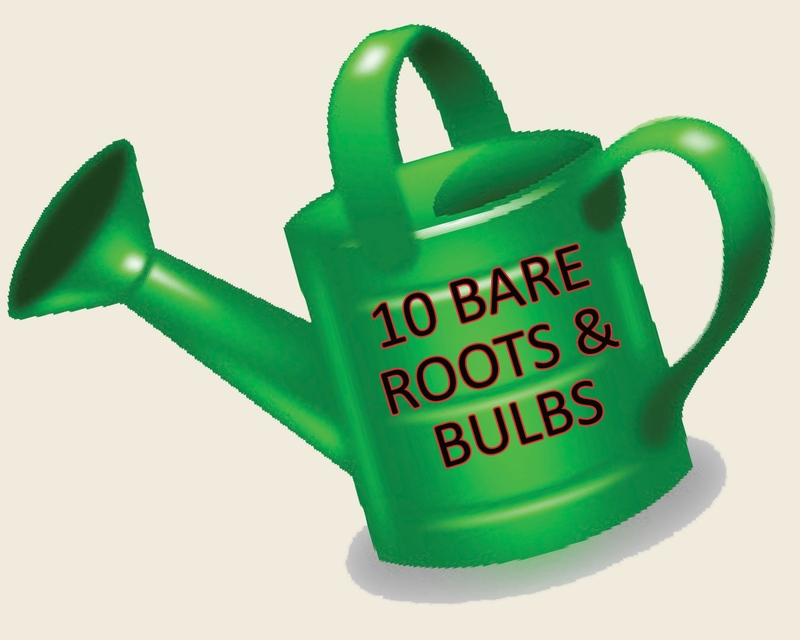 All you need is some potting soil, a well-draining container or two and you’re ready to go! 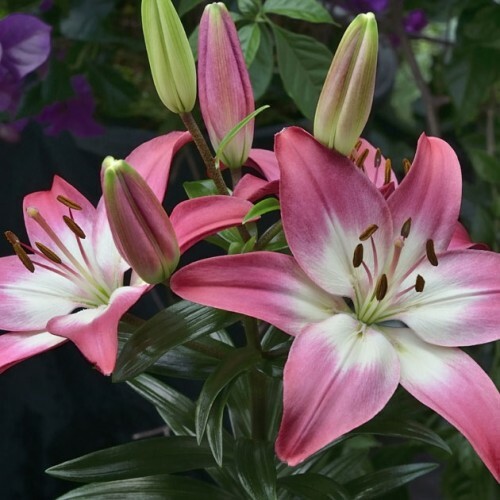 Bred specifically for containers, ‘Tiny Diamond’ is a shining star! The colour combination of bubblegum pink and white is super sweet and quite dazzling. It will add that pop of colour that makes a container become a showstopper. Perennial geraniums make the perfect filler-inner plant - especially for containers. 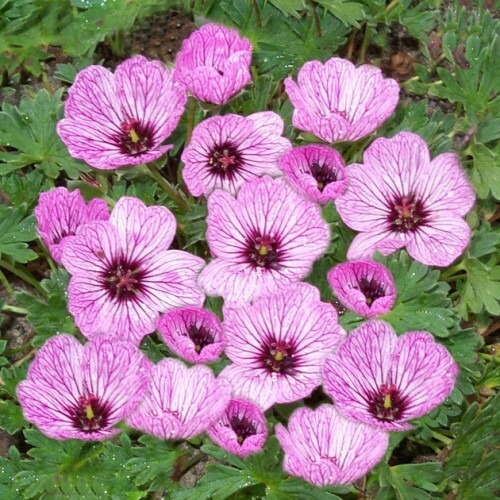 What sets ‘Ballerina’ apart is its lovely pink flowers covered in purple veining. Very striking and a delight to grow. This brightly coloured plant is one of the longest blooming perennials so you’ll be getting major bang for your buck. Its bright, sulphurous-yellow flowers are a real standout and it is particularly drought tolerant - bonus! Asters are perfect for providing late season colour and the bees love them! 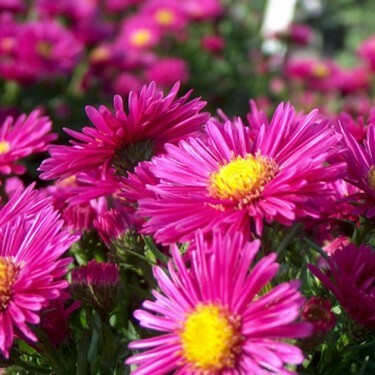 ‘Jenny’ is a real cutie that will reward your container with an attractive mound of magenta-coloured blooms. 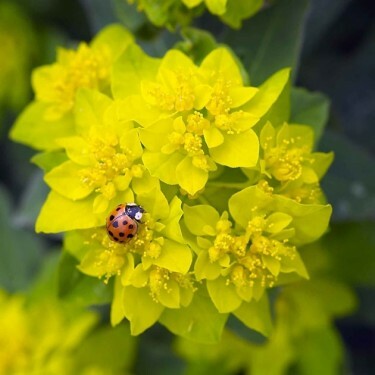 This versatile plant can be grown in sun or shade. It is very floriferous and easy to grow. 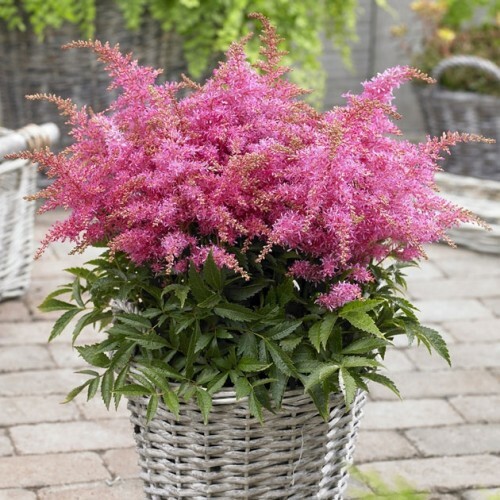 Make sure it gets plenty of water and it will reward you with its fluffy pink flower plumes that seem to last forever!